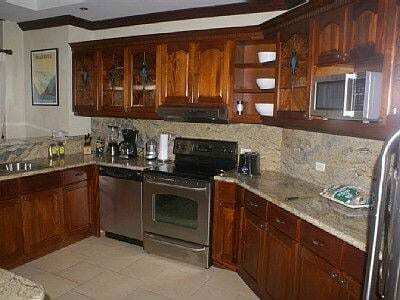 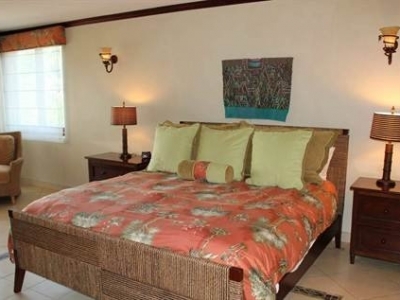 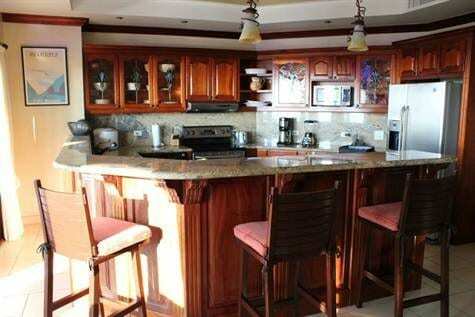 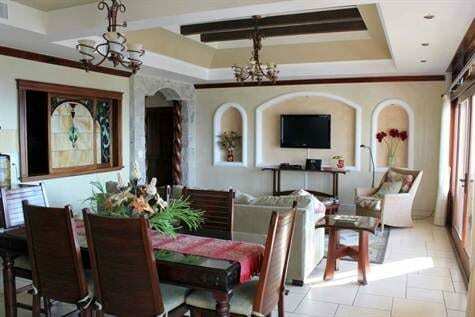 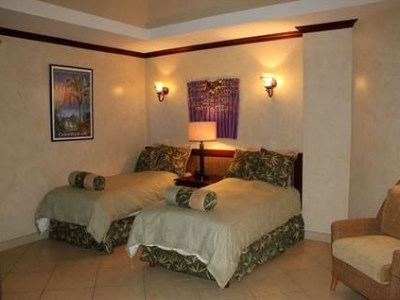 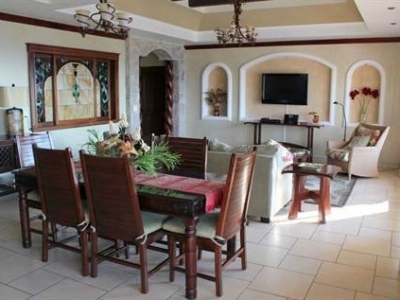 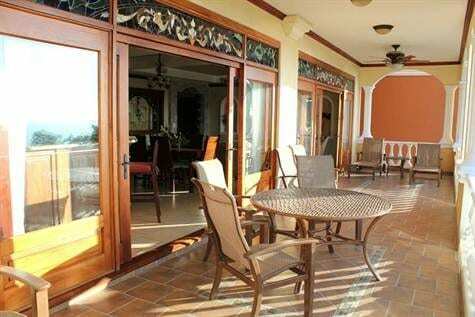 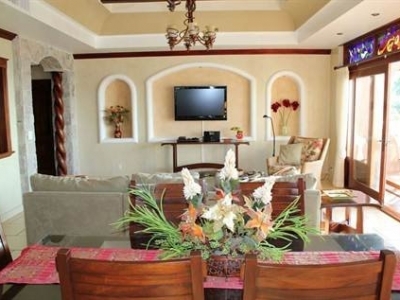 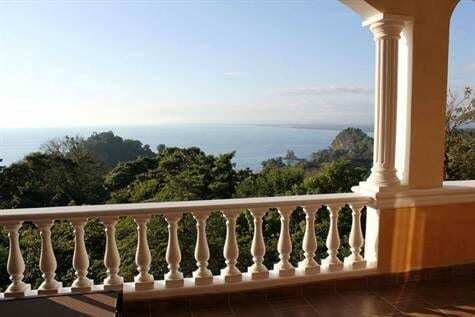 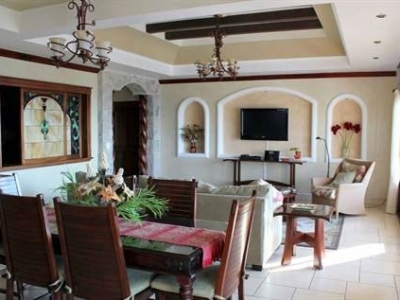 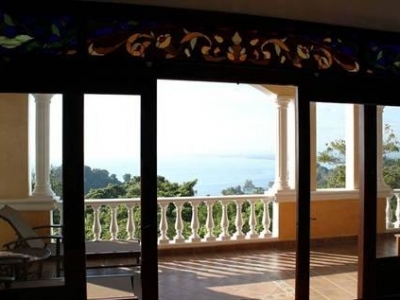 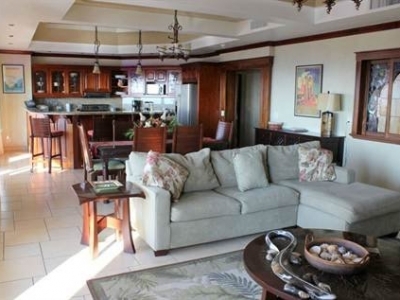 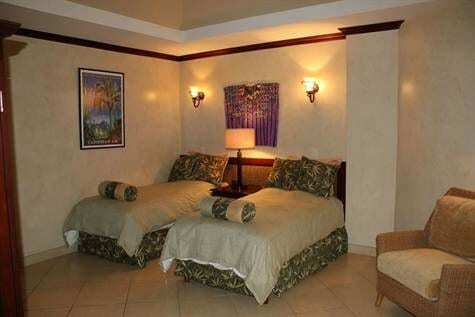 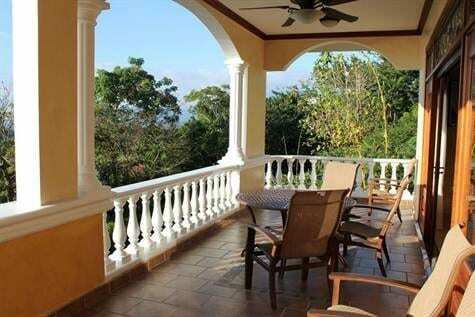 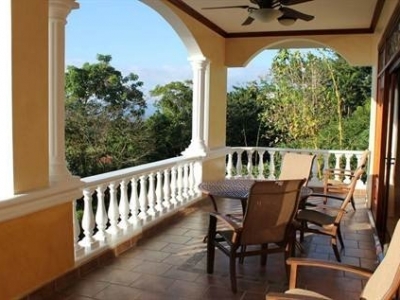 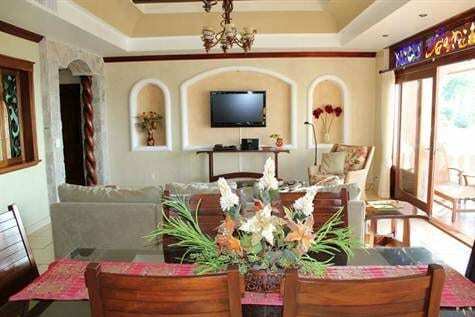 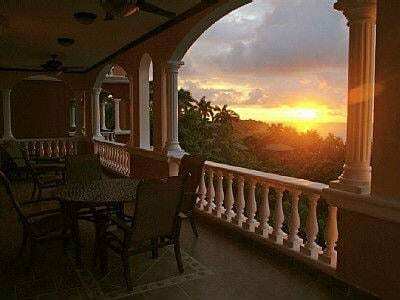 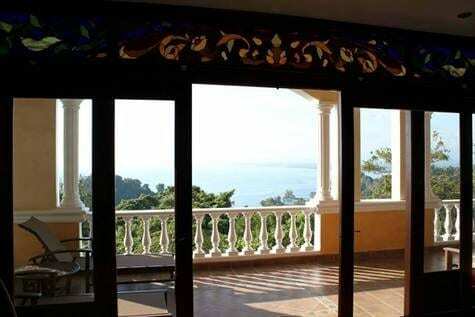 CONDO – 2 Bedroom Luxury Condo With Great Ocean View In Center Of Manuel Antonio!!! 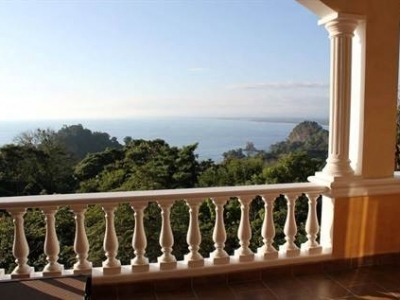 This 2 bedroom, 2 full bath luxury condo is located in the revered building of Pacifico Colonial in the prime section of Manuel Antonio. 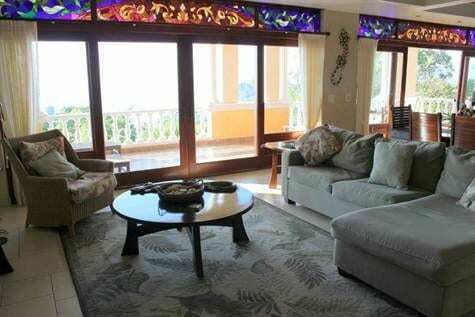 The building houses just 10 exclusive residences (including the 2 penthouses), and offers secured/attached parking, a deeded internal storage unit on the ground floor, shared pool, saunas and other common areas, & a long-standing administration all upon a very desirable west-facing hillside overlooking some of the area’s most dramatic coast line. 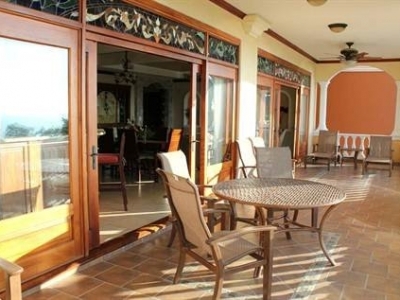 The condo residence measures approx 1900 ft2 with a smart floor plan, very well done finishes (high level carpentry, stained glass, marble and granite surfacing, central A/C, quality appliances and fixtures, etc) an expansive ocean view terrace and a handsome furniture package. 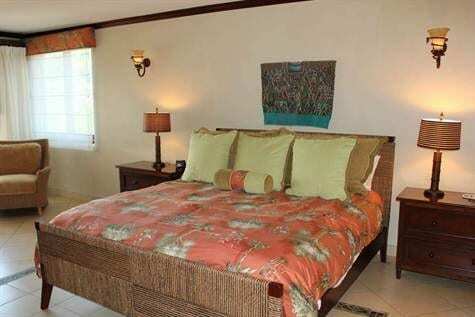 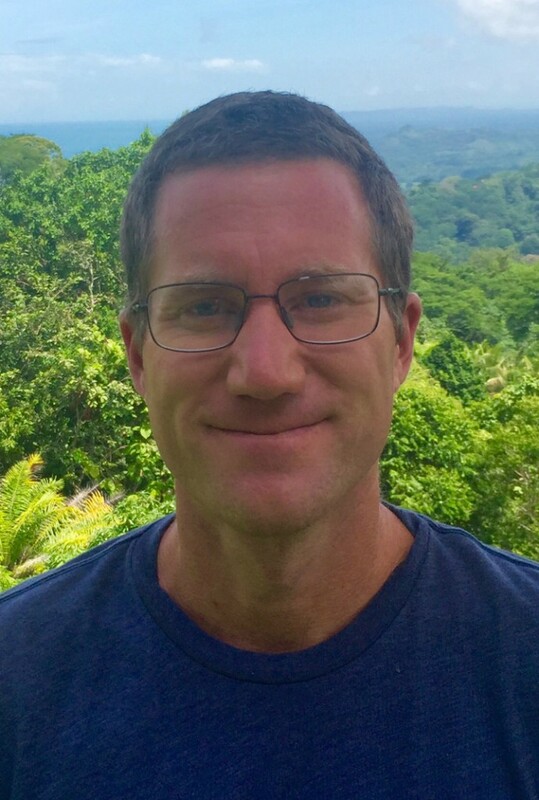 The property also has a sustainable rental program, even with the owner using it for personal vacation each year. 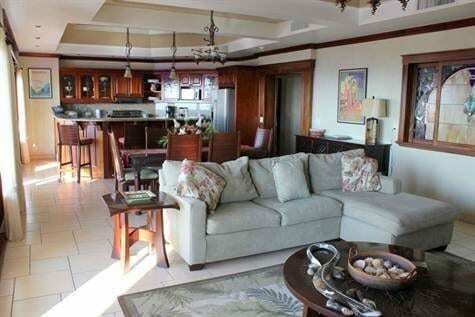 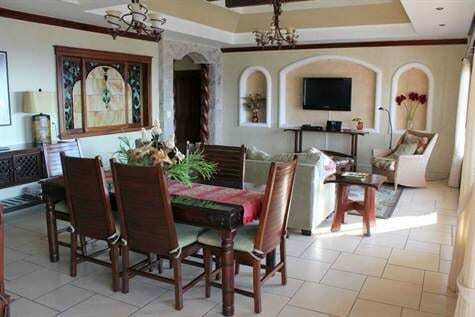 This condo is the lowest priced offering in the building, although it’s one of the more desirable residences. 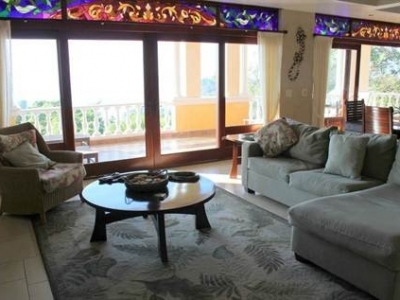 The location, one level below street level, provides a quiet setting, & privacy while still maintaining a dramatic coastal, ocean and mountain view. 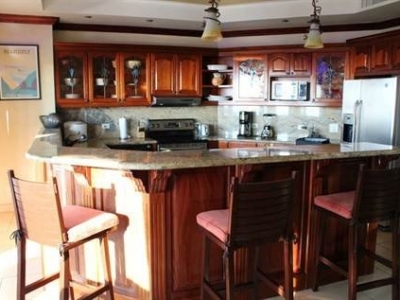 This residence is being sold well below the former sales price and should be considered for anyone looking at this section of the market or someone looking to make a sound investment.